Read Write Express is offering a series of monthly Writing for Wellbeing evening workshops around the theme of renewal and self discovery. The workshops will provide a supportive space where, through reading, discussion, writing, sharing and listening, participants will use a variety of approaches to make space for themselves and engage in creative activities, as well as considering ways of dealing with stress with the aim of developing perspective, self awareness and confidence. The workshops may also include other non-writing activities such as light movement, breathing, visualisation, voicework, pairwork, laughter, drama games and other means of creative expression. No writing experience necessary, just a willingness to explore and experiment. When booking, please take care to book for the correct venue. 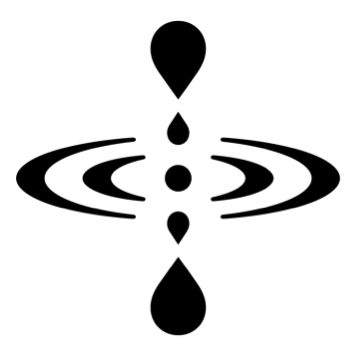 There is a water drop image for the Goose Green events and a spiral image for the Mycenae House events. Using a combination of short writing exercises with breathing spaces and through visualisation, reading and discussing written resource/s, writing and sharing, participants will connect with the following themes in imagination and recollection as a means to improve wellbeing and self-awareness. Express yourself and make discoveries through voicing your words in a supportive setting with no critique. Mycenae House, 90 Mycenae Road, Westcombe Park, London SE3 7SE. Using a combination of short writing exercises with breathing spaces and written, visual and tactile resources, explore the elemental themes of "Earth", "Water" "Fire and Light" and "Air" as a means to improve wellbeing and self-awareness. Express yourself and make discoveries through voicing your words in a supportive setting with no critique. If you are interested in holding a writing for wellbeing workshop at your venue, please contact us.